Description 12-15mm round freshwater pearls hand knotted on round colored leather cord, color of your choice. 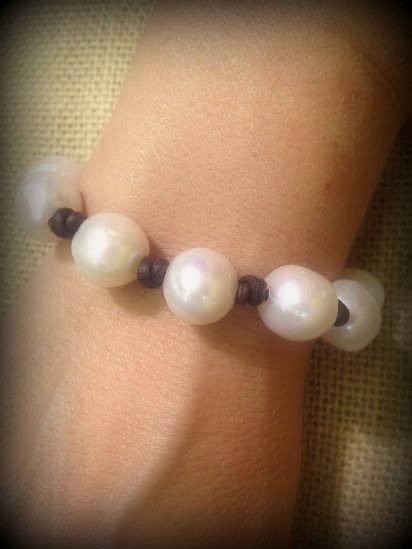 Pearl loop closure underneath wrist. Casual yet elegant.